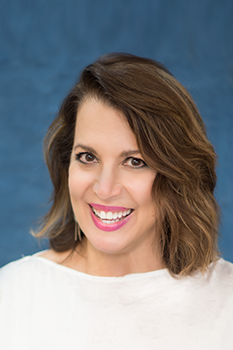 Home » Our Doctors » Angela Marcaccio, O.D. 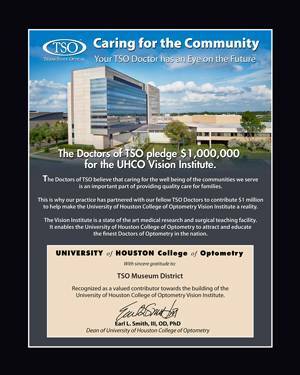 Dr. Angela Marcaccio, the daughter of an Optometrist, is a native Houstonian graduating from the University Of Houston College Of Optometry in 1982. Dr. Marcaccio completed her undergraduate work at Texas A&M. (Go Aggies!) Dr. Marcaccio is a frustrated Fashion Designer whose only outlet is to have incredibly hip frames in her store for her patients. Her pet peeve is people wearing old style bifocals or ill-fitting frames because LIFE’S TOO SHORT TO WEAR UGLY SHOES OR UGLY GLASSES. Her goal is to provide superior eye care services and unique frames or the latest in contact lenses for her patients. Being born at the end of the Baby Boomer generation, Dr. Marcaccio understands the vision problems we are all experiencing but vows to fight Mother Nature all the way (and to help her patients look good while doing it). Dr. Marcaccio is not only fluent in English but fluent in Spanish as well. She loves caring for her senior patients at Texas State Optical and solving the problems associated with the aging of the eyes and is still seeing many of her father’s 2nd and 3rd generation patients. In addition, those middle aged baby boomers in denial are a special favorite of hers. She lives with her husband of 30 years, their daughter (attending UT at Austin) and their 3 dogs. Dr. Marcaccio believes that LIFE IS GOOD.